As busy as the Yankees have been this winter, it would be a surprise at this point if they sign one of the top two free agents. 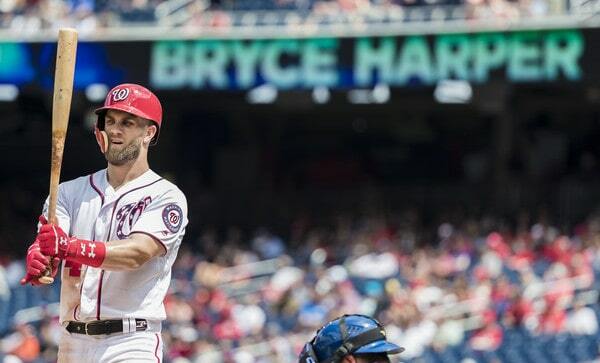 Their interest in Manny Machado has been tepid at best and their interest in Bryce Harper has been virtually nonexistent. That could change in an instant, of course. 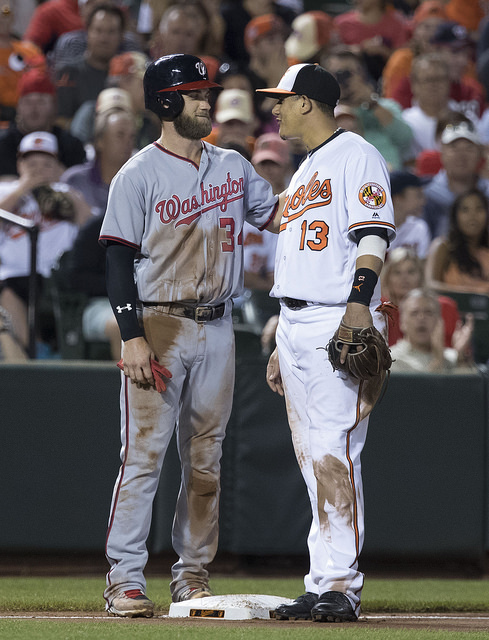 For now, a Machado or Harper deal continues to seem unlikely. Disappointing! Earlier this week, after I published my nine millionth story of the offseason about the Yankees and Manny Machado, a major league source reached out with a suggestion: Don’t sleep on the Yanks and Colorado third baseman Nolan Arenado. Meanwhile, people briefed on the Yankees thinking say that GM Brian Cashman — who did not respond to a request for comment — has internally discussed the possibility of trying to trade for Arenado either now or during the season. One source said that the teams have likely talked already, but neither Cashman nor Rockies GM Jeff Bridich have confirmed this. Passing on Machado and Harper to sign Arenado is a viable strategy, I suppose. I don’t agree with it all, largely because I think Machado and Harper will be better players going forward, and because signing Arenado next offseason doesn’t help the Yankees win this season. They should be doing all they can to win in 2019. Windows can be short, man. You have to capitalize while you can. That said, yeah, you could argue passing on Harper and especially Machado now to sign Arenado later is a sound strategy. I guess the argument goes something like this: Arenado is an excellent all-around player, he has a much cleaner injury history, and he has long been considered a clubhouse leader with captain potential. Every team wants a player like Arenado. He’s awesome. Wanting to acquire Arenado is perfectly normal. Martino says the Yankees have “internally discussed” the possibility of pursuing him and guess what? I imagine the other 28 teams have also “internally discussed” going after Arenado. The Yankees aren’t a special case. There are two things about all this Arenado talk that I can’t get out of my head. 1. Why wait for Arenado when Machado is available now? There are several layers to this. One, signing Arenado as a free agent doesn’t help you win this season, as I already noted. That’s kind of a big deal. Sign Machado and he helps you win now. Two, who’s to say Arenado will actually become a free agent next offseason anyway? The Rockies have a history of paying big to keep their own (Todd Helton, Troy Tulowitzki, etc.) and I’m sure they’ll make a run at extending Arenado. Three, the Yankees could get Arenado now, but then they’d have to pay twice. First in prospects/players to get him in a trade and then with a massive extension to keep him, a massive extension that figures to be on par with the contract Machado will soon sign. And four, the Rockies are good! Back-to-back postseason trips! Why would they trade their best player? Trading for Arenado now doesn’t seem doable. Maybe at the deadline should Colorado fall out of it, and even then we’re back to the “paying twice for him” thing. While I totally understand wanting Arenado, I just can’t get beyond the whole “Machado is available right now” thing. He’s available right now. Right now. The Yankees could sign him tomorrow, get a player younger and I’d argue better than Arenado, and keep all their prospects. Assuming a trade is off the table given the Rockies’ hopes of contention in 2019, the options are sign 26-year-old Machado now or sign 28-year-old Arenado next winter. Arenado’s great but that is an easy call in my book. 2. This all sounds like spin. Yuuup. In this era of Yankees austerity and general free agent shunnery, I am extremely skeptical of any purported “we’re going to pass on this star player now, but don’t worry, we’ll spend big for a star player next offseason” plan. I mean, didn’t we just go through this with Machado and Harper? Reset the luxury tax now because oh baby wait until those two become free agents! Yeah, worked great. The Arenado stuff seems a little too convenient to me. Conveniently timed (right before Machado and Harper sign) and of convenient substance (don’t worry, we’ll get a star next year). Passing on Machado and Harper will create an overall negative reaction. It’s inevitable. The Arenado stuff seems like an attempt to mitigate the damage because “we already signed LeMahieu and Tulowitzki!” isn’t going to do the trick. I dunno. Shrug. To be the fair to the Yankees, they have done something like this before. They passed on Johan Santana during the 2007-08 offseason because they wanted to sign CC Sabathia during the 2008-09 offseason. They rolled the dice and it worked out as well as anyone could’ve hoped. Passing on Machado and Harper now to wait for Arenado later would be a similar move. The Yankees have done this before. It doesn’t make it any less risky, but they have done it before. 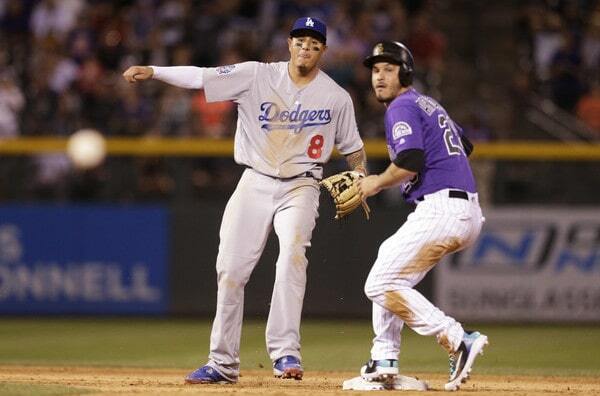 Even if the interest in Arenado is sincere and not spin, the baseball reasoning is misguided. These are three similarly excellent players in their mid-20s. Two are available right now for nothing but cash (and a draft pick in Harper’s case). The other may not ever become available, either via trade or free agency. A team that wants to win right now signs Machado or Harper. They don’t wait a year for someone else. The logic that says the Yankees should wait for Arenado is specious. Arenado is undeniably a great player. Maybe he won’t be as great outside Coors Field, but I’d bet on him still being a 25-homer bat with all-world defense at third base. That guy’s a star. To me though, the “we’re passing on this guy now because we want this guy later” thing is a transparent attempt to shift focus away from what’s happening right now. Baseball teams loving promising things will happen in the future. How often do they follow through? Not often enough for me to buy Arenado as the real reason the Yankees will pass on Machado and Harper. In three weeks and six days Yankees pitchers and catchers will report to Tampa to begin Spring Training 2019. We are five weeks and two days away from the first Grapefruit League game. There are still a lot of free agents who have to sign between now and then — a lot of big name free agents, at that — but, soon enough, baseball will return. I can’t wait. I’m totally over the offseason. The Yankees have, for the most part, handled all their offseason business. The rotation has been bolstered, Didi Gregorius has been replaced, and the bullpen has been shored up. 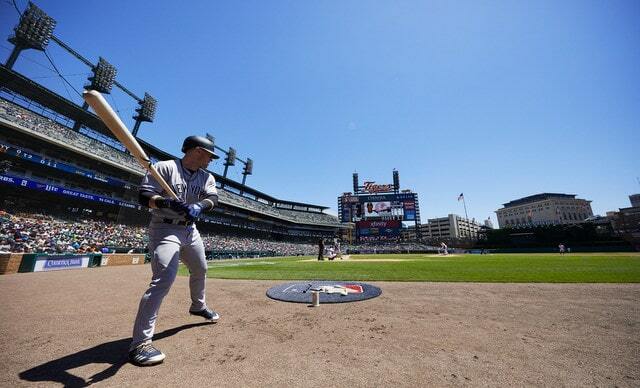 There is always room for improvement, but, generally speaking, the Yankees are in good shape. FanGraphs currently projects them as the second best team in baseball, two games behind the Red Sox, and I’m not sweating a projected two-game difference in January. Even with the roster largely set, there are still four weeks to go until camp opens, and that gives the Yankees some time to address any remaining items on their to-do list. It also gives them time to pounce on anything unexpected that comes their way. Here are six things the Yankees should look to get done before Spring Training (or shortly thereafter), in rough order of importance. Has to be done. Manny Machado and Bryce Harper are still unsigned and it doesn’t seem like either player is particularly close to making a decision. As long as these two sit in free agency, the Yankees have to remain engaged in case something falls into their lap. Reports that the White Sox offered Machado seven years and $175M have been shot down several times over. Still, the offers can’t be that good if he and Harper are still unsigned. If Machado and Harper continue to sit out on the market, I am confident Brian Cashman will lobby ownership to expand payroll and sign them, the same way he (successfully) lobbied for Mark Teixeira. Will ownership say yes? Who knows. I guess it depends on the contract terms. Point is, as long as Machado and Harper remain unsigned and this is their market, the Yankees owe it to themselves to stay involved. Not doing so would be negligent. The Yankees reportedly want two relievers this winter and so far they’ve only added one, re-signing Zach Britton two weeks ago. They could stand pat with their current bullpen. Britton, Dellin Betances, Aroldis Chapman, Chad Green, and Jonathan Holder form about as strong a bullpen top five as you’ll find. Others like Luis Cessa, Domingo German, Tommy Kahnle, and Stephen Tarpley are interesting enough that giving them a chance is not unreasonable. Eventually some team will show interest in Kimbrel, right? His market has been extremely quiet thus far. After Kimbrel there’s Ottavino, a fine fit for the Yankees, and a bunch of reclamation projects and third tier relievers. The free agent reliever market has thinned out quite a bit these last few weeks. Kimbrel and Ottavino are far and away the best available and I can’t see the Yankees splurging for Kimbrel. Ottavino? Maybe. Either way, Kimbrel and Ottavino or no Kimbrel and Ottavino, the Yankees do have room in their bullpen for one more established reliever. They don’t necessarily need another high-leverage guy but hey, I’d take one. Someone to reduce the reliance on Kahnle bouncing back and Cessa or German figuring it out would be appreciated. Aside from keeping tabs on Machado and Harper, adding another reliever is the top priority right now. The Yankees signed eight of their nine arbitration-eligible players to one-year contracts prior to the salary filing deadline last week. Now that that’s out of the way, the Yankees can begin to explore contract extensions with their impending free agents, specifically Betances, Gregorius, and Aaron Hicks. Those are three really important players! They’re under contract for 2019. That part is out of the way. Now they should discuss 2020 and beyond. Because Betances, Gregorius, and Hicks all have one-year contracts in place for 2019, the Yankees can sign them to a multi-year extension that begins in 2020 without it changing their luxury tax number this year. Any raise would be pushed back a year for luxury tax purposes, which is helpful. Get them signed long-term without altering your short-term payroll. That’s why the one-year contract for 2019 was so important. It allows the extension to begin in 2020. There are of course reasons to wait on extending these players. Betances is volatile, Gregorius is hurt, and Hicks seems like the type of player who could get screwed over in free agency. In a normal free agent market, seeking Lorenzo Cain and Dexter Fowler money (five years, $80M or so) would not be unreasonable. Look at what’s happening to A.J. Pollock though. What if he gets, say, three years and $45M? Doesn’t that change things for Hicks? Keep in mind this applies to players who aren’t impending free agents too. The Yankees have a lot of young and talented players. Why not see what Aaron Judge wants for a long-term contract? Or Luis Severino? Or Gleyber Torres, Miguel Andujar, and James Paxton? There is less urgency to extend players with team control remaining beyond 2019. It never hurts to ask though. Maybe someone is willing to sign cheap to lock in the guaranteed payday. Late-January through March is extension season. That’s usually when we see teams lock up their young players. Maybe the league-wide unwillingness to spend money will change that and we’ll see fewer extensions than usual. For the Yankees, three important players are due to become free agents after the season and at some point they have to engage them in contract talks. The sooner, the better. At the very least, they have to find out what their contract demands are so they can plan accordingly. Severino is the one arbitration-eligible player the Yankees did not sign prior to last week’s salary filing deadline. He’s seeking $5.25M while the Yankees countered with $4.4M. Seems to me the Yankees will have an easier time defending their number. All signs point to the Yankees and Severino going to an arbitration hearing at some point in February. Supposedly all 30 teams are “file and trial” these days, meaning they cut off contract talks once the two sides file salary figures. An arbitration hearing is not the end of the world. They can be contentious but they don’t have to ruin relationships long-term. The Yankees and Betances went to a hearing in 2017 and they had no trouble hammering out contracts the last two years. Back in the day the Yankees went to arbitration with Rivera, Bernie Williams, and Derek Jeter, and everything turned out fine. The Red Sox and Mookie Betts went to a hearing last year. They’re all good. It’s not the end of the world. That said, avoiding an arbitration hearing is preferable, which is why players and teams work so hard to get a deal done before the salary filing deadline. The midpoint between the filing figures is the logical place to start when seeking a settlement. Can the Yankees and Severino agree to $4.825M for 2019? How much wiggle room is there? Bottom line, avoiding a hearing is preferable. The Yankees and Severino should try again to see if it’s possible. There are still a ton of free agents looking for work this coming season. Guys like Machado, Harper, Kimbrel, Ottavino, Pollock, and Dallas Keuchel will be fine. They’ll get paid at some point. Maybe not as much as they were expecting a few months ago, but they’ll be set for life. What about guys like Warren though? Or Neil Walker? Logan Forsythe, Derek Dietrich, Francisco Liriano, so on and so forth? Those guys might be in trouble. In this current free agent climate, February and March will be a great time to bargain shop because many players will be desperate to sign. That’s exactly how the Yankees landed Walker last season. I hate that it’s come to this for the players. It is what it is though. The Yankees have some open bullpen spots and still an open bench spot even after signing DJ LeMahieu. Scouring the free agent market for bargains as Spring Training draws closer is an obvious move. There could be some real nice depth pieces available on the cheap. My hunch is trading Gray is higher up the Yankees’ priority list than I have it. They seem done with him, and unloading his $7.5M salary frees them up to do other things, like sign Ottavino. I’m fine with bringing Sonny to Spring Training though. It might be a little awkward, but whatever. You can never have enough pitching depth, and all it takes is one spring injury to rekindle trade talks. Hey, maybe the Yankees lose a starter to injury and need Gray for the rotation. That would be kinda funny. Sonny saves the Yankees with 180 innings of 3.25 ERA ball. But yeah, the Yankees are pretty much done with Gray. They want him gone and have not been shy about saying it. It is (very) surprising to me this has dragged on so long. The sooner the Yankees can move Gray, the sooner everyone can move on from this weird situation. A trade is best for everyone. The Yankees clear payroll and get a player(s) in return and Gray gets a fresh start. I’m okay with keeping Sonny around a little longer. I also think the Yankees want him gone and soon, so get it done. I don’t self-promote often, but I am going to do my civic duty and link to my CBS post ranking the top 50 players in baseball five years from now. Who’s No. 1? You probably already know! Anyway, there’s that. Now here are the latest offseason rumblings as the hot stove continues to run cold. According to Ken Rosenthal (subs. req’d), neither Manny Machado nor Bryce Harper appear close to signing, and in fact Machado’s agent Dan Lozano is “barely engaging” teams right now. He’s remaining patient and waiting for either an interested team to up their offer, or another team to jump into the mix. These things can change in a hurry, but, right now, it doesn’t sound like Machado is close to picking a team. His market is reportedly down to the Yankees, Phillies, and White Sox. Earlier this week I said it seems Machado is holding up the rest of the offseason. My thinking was that, once he signs, interest in Harper will pick up, and teams that miss out on Machado will begin to look at other free agents. That was probably overly optimistic on my part. It reminds me of last offseason when we were all saying things would pick up once Shohei Ohtani signed and Giancarlo Stanton was traded. It never really happened. When a 26-year-old on a Hall of Fame track doesn’t have teams falling all over themselves to sign him, you know baseball is broken. With David Robertson having signed with the Phillies, the Yankees are now “focused” on re-signing Zach Britton, report Jon Heyman and Brendan Kuty. Other teams are involved and Jayson Stark says Britton and Scott Boras are holding out for a four-year contract. They’ll probably settle for a three-year deal (with an option? ), which is still one year too long for my liking, but what I think doesn’t matter. Britton turned 31 last month and he had a 3.10 ERA (4.22 FIP) in 40.2 total innings after returning from Achilles surgery last year. He was at his best late in the season, as he got further away from the surgery, but he still wasn’t peak Orioles Zach Britton. The Yankees’ infield defense is pretty sketchy as currently constituted and that doesn’t seem to be a good fit for such a ground ball reliant pitcher. Strikeouts are the way to go. According to Jeff Passan, there was “traction” at one point on a three-way trade that would’ve sent Sonny Gray to the Braves and Jurickson Profar to the Yankees. Atlanta would’ve sent a prospect(s) to Texas. We heard the Yankees had interest in Profar and the Braves had interest in Gray earlier this winter, so that makes sense. Alas, the Rangers sent Profar to the Athletics in a three-team trade with the Rays. Texas received four prospects in the deal. We’ll see what the Yankees get in the inevitable Gray trade, but I have a hard time thinking it’ll be better than Profar. He was my ideal Didi Gregorius replacement. Profar appears poised to finally take off and become one of the game’s top players. Of course, the Braves and Rangers had a say in this as well, and it sounds like the potential three-team trade fell apart because those clubs weren’t satisfied. So it goes. For what it’s worth (nothing), I acquired Profar in a three-team trade involving Gray in my 2018-19 Offseason Plan. Loved him as Gregorius fill-in and super utility guy. When Brian Cashman called the Yankees a “fully operational Death Star” during the Winter Meetings, he wasn’t lying: the team’s talented young roster is fresh off of a 100-win season and back-to-back postseason appearances. If you factor in the acquisition of the often-dominant James Paxton and the rumor that the Yankees are believed to be the frontrunners for 26-year old superstar Manny Machado, you’d be excused if you believe him. But a closer look makes it clear that the Yankees have operated at less than full financial capacity, their biggest competitive advantage, for quite some time—and that they can add both Bryce Harper and Manny Machado and still reinvest less revenue into player salaries than they did in the last decade. 1. Team payroll has decreased: The Yankees paid their players $226.2 million in 2004, and it remained relatively steady (in real numbers, not those adjusted for inflation) around that figure until last year, when it plummeted to $193 million. 2. Team revenue has increased: In 2004, the Yankees took in $264 million in revenue. That number climbed to $375 million in 2008 and reached about $620 million in 2017. Based on league revenue figures, attendance/ratings and overall team performance, it’s a safe bet that revenue increased again last year. 3. Therefore, the Yankees are investing less in the team than at any point in the last two decades: The best way to consider team spending is as a percentage of overall revenue, and by that standard, the Yankees are clearly failing. The 2004 team reinvested roughly 85 percent of its revenue into player salaries while the 2018 version, based on some crude calculations, reinvested less than 30 percent, less even than the Tampa Bay Rays. To put this in context, consider this: had the Yankees simply maintained the 2004 salary as a baseline and stayed constant, their 2017 payroll would have been $300 million. Had they maintained the same ratio of revenue to payroll as that year (85 percent), their 2018 payroll would have been $526 million, more than double what it is now. Viewed in this context, the Jacoby Ellsbury albatross and the Alex Rodriguez extension have been far less financially inhibiting than we often think. But instead, after the 2017 Yankees emerged out of nowhere to reach Game 7 of the ALCS, the Yankees cut $50 million in salary from 2017 to 2018 when factoring in the team’s luxury tax penalty. The high-profile acquisition of Giancarlo Stanton and his 10-year, $325 million contract—which, by the way, is less than he is worth and will likely prove to be a financial asset to the Yankees over the course of the deal—obscured this in the eyes of many fans and analysts, but the fact remains the same: the Yankees cut $50 million in player salary last year. 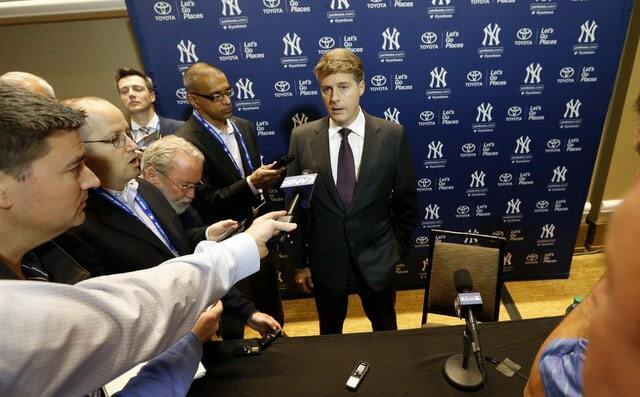 A well-coordinated PR campaign by Hal Steinbrenner and other team executives have helped shape a narrative that the Yankees are “still the Yankees” and will “spend when they need to” but that they “don’t need a $200 million payroll to win.” Some variation of that austerity platform has been deployed for at least the last five years, even as the team has suffered by letting some generational talents pass by. The decision not to pursue Scherzer—who, by the way, has a 2.71 ERA (156 ERA+) and 11 K/9 in 878.1 innings pitched since signing with Washington—is clearly the most egregious, but it’s far from the only notable decision. In August 2017, the Yankees reportedly discussed Justin Verlander with the Tigers, but not in a serious manner because, according to Buster Olney (subs req’d), they “wanted [him] but had to let him pass by on waivers because they didn’t have the payroll flexibility to spend.” Verlander, of course, virtually eliminated the Yankees singlehandedly that October and sported a 2.52 ERA in 214 innings last season. It is clear by now that the Yankees do in fact have the “payroll flexibility” to do whatever they want and that they have actively chosen to inhibit themselves. There is no indication that this offseason will be any different: the Yankees are still beating the austerity drum. They passed on Patrick Corbin, not even extending an offer because the two parties were so far apart financially. And in the Manny Machado sweepstakes, it’s long been reported that the Yankees will not offer him a contract worth $300 million or more—if Machado, who is believed to prefer (subs req’d) the Bronx, really wants to be a Yankee, he’ll need to accept less guaranteed money. His superstar free agent counterpart in Bryce Harper, also believed to prefer the Bronx, is likely in the same boat. But the Yankees can afford to pay both. Assume both of them receive $35m per year, the high end of what they’re expected to get. That would add $70m to the payroll, bringing it to about $260 million before adding supporting pieces and another bullpen arm. If we assume the final payroll ends up around $280-90 million, they’d pay about $35 million in luxury tax—bringing the payroll to a total of $320 million, right around the 2004 payroll adjusted for inflation (and a fraction of the team’s revenue, which has soared since then). There is even enough flexibility here to account for future pay raises for the Yankees homegrown stars. Much can change in the course of a few weeks (here is the part of the article where I am supposed to bring up Bubba Crosby and Mark Teixeira), but it remains highly unlikely that they make a move to sign both superstars, even though there isn’t a single compelling baseball reason not to do so. But there is no excuse, financial or otherwise, not to add at least one of the two superstars, who have yet to hit their prime. In other words, the next few weeks serve as a litmus test for the new-age New York Yankees: is the organization more concerned with its bottom line than it is with producing the best possible on-field product? I still think that Manny Machado ends up in pinstripes, but that may just be wishful thinking: a survey of the team’s financial data and recent actions does not exactly inspire confidence. With little sizzle to the Yankees’ stove since the James Paxton trade, I find myself thinking more about the Yankee organization more than the Yankee roster lately. Over the last few weeks of the offseason, I’ve expressed frustration at the Yankees for not going out and spending to bring in Bryce Harper and Manny Machado. I’m not alone in that feeling and from their point of view, neither are the Yankees. Once again, free agent spending is down league-wide and we’ve heard of only two other teams–the White Sox and Phillies–as being in on Machado. Considering his talent and his age, that’s patently absurd. He would help literally every team and literally every team could afford him; they just choose not to. But as I reflect on baseball’s current situation, I can’t help but feel a twinge of responsibility. I don’t bear any real responsibility for what’s going on; my ego may be big, but I’m not delusional. What I mean is that the analytical way I’ve come to think about the game–as many of you have–is now the norm across baseball. With so many front offices thinking and operating in the same general way, of course the hot stove is going to be slower, especially since that thinking is driven by the pursuit of efficiency. This new way of thinking, however old it may be now, won out over the actual old ways of thinking (or co-opted those ways), which is essentially what “we” wanted. Years later, we’re reaping what we sowed and its led to this cold hot stove season. At its core, this way of thinking is about finding value and exploiting it using whatever resources you have. And that’s why it’s so frustrating that the Yankees seem to be hoarding their myriad resources. The way George Steinbrenner wanted to run things–throwing money at whomever and whatever player came by–was not always a good thing. When Hal Steinbrenner took over, after Brian Cashman had already straightened things out on the baseball operations side of things, I thought we were going to get the best of both worlds: an analytical juggernaut, armed with the best quality data and the money to back it up. That’s what we were set up for with Plan 189 or 197 or whatever it was that led to punting 2013-2014 and selling off pieces in 2016 (which was totally the right move at the time). Regardless of how frustrating it may have seen at times, the plan more or less worked out and the Yankees have the flexibility to spend right now and have two generational talents on the market in Machado and Harper. They have the room to fit them on the roster. They have a team with a wide-open window that will never be more wide open than it is now. And that’s what makes their apparent reluctance to engage with these high-end players so maddening. It’s right there for them, but they’re not taking the prize. No player–or two players–can guarantee a championship, but they can sure go a long way towards helping. The Yankees have sowed some opportune seeds; it’s time to reap them before it’s too late. Otherwise, it’ll appear that the Yankees are just going to reap what analytics have sowed: a concern with efficiency and cost control placed before a concern with winning. Last week at the Winter Meetings, Brian Cashman and Scott Boras had a weird little back-and-forth in the media about free agent Bryce Harper. 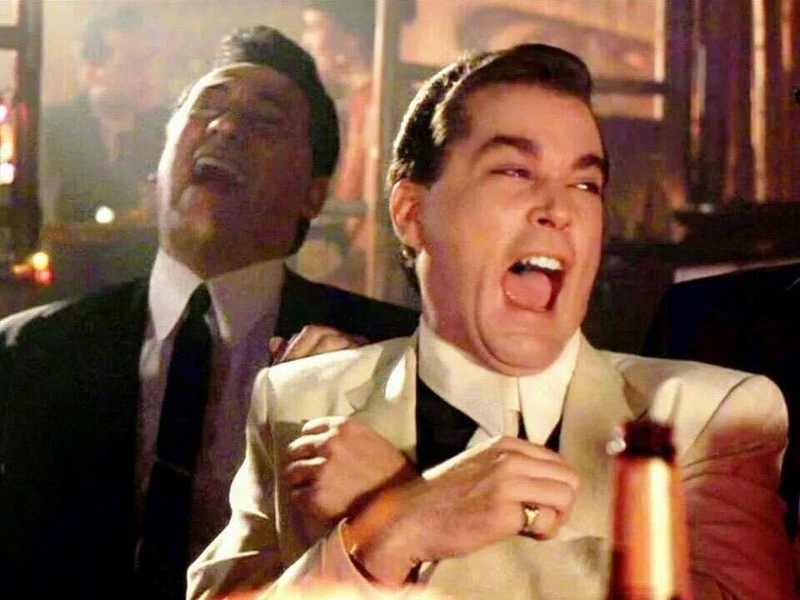 Cashman said the Yankees don’t need an outfielder and thus don’t need Harper. Boras more or less laughed that off. He wants the Yankees involved for leverage purposes, if nothing else, and of course Cashman is going downplay interest in any free agent. On paper, the Yankees do not need an outfielder. Aaron Judge and Aaron Hicks are locked into two of the three outfield spots. Brett Gardner is more of a platoon guy and a part-time player at this point of his career, but, even then, the Yankees have Giancarlo Stanton for the third outfield spot. Jacoby Ellsbury is owed a ton of money and Clint Frazier is a former top prospect who could very well claim an everyday outfield job by midseason. The outfield — and thus Harper — does not appear to be a priority at this point. Now that J.A. Happ is back on board, the Yankees need a middle infielder and bullpen help more than anything. That is an oversimplification, however, and it completely ignores Harper being a just turned 26-year-old star. I think he’s a generational talent. Players who hit .279/.388/.512 (139 OPS+) with 184 (!) homers and +27 WAR through their age 25 season are extremely rare. Gardner can easily be moved to the bench to open up left field. Cashman himself admitted Ellsbury may not be ready for Opening Day after hip surgery. Frazier is coming back from concussion issues and remains unproven at the MLB level. There is life beyond 2019. Imagine passing on a talent like Harper because you believe you already have six Major League caliber outfielders, and three of them are Gardner, Ellsbury, and Frazier? Goodness. Gardner is best used in moderation these days and he was moved into a bench role following the Andrew McCutchen trade this year. He can be moved to the bench in deference to Harper too. Ellsbury? Frazier? Who knows. The Yankees can’t count on them for anything at this point. I mean, we all watched this past season, right? The Yankees went into Spring Training with the exact same outfield depth chart as the one they have right now, except Ellsbury and Frazier were healthy, and they had Billy McKinney too. Lots of outfielders! Nine games into the season Jace Peterson was starting in left field. Nine games. Depth at even the deepest positions can evaporate quickly. That fourth point seems to be a forgotten one too. Whoever signs Harper is not just signing Harper for 2019. He’s getting multiple years. Maybe as many as 10-12 years. Both Hicks and Gardner will be free agents next offseason, and, in two offseasons, Ellsbury will be a free agent and Stanton could opt out of his contract. It is possible if not likely the Yankees will be looking for two everyday outfielders in eleven months. No room for Harper? Please. And let’s not forget about the first base option. That doesn’t only apply to Harper either. Judge and Stanton are quite literally giants and who knows how their legs will hold up over the years? Running around the outfield at that size doesn’t seem like something they’ll be able to do long-term. First base (or DH) could be their ultimate destinations, further creating a need in the outfield. Point is, there are a lot — a lot — of ways to clear outfield space for Harper. I don’t believe Cashman was being sincere when he listed six outfielders as evidence the Yankees don’t need Harper. The Yankees have to downplay their interest in Harper because, if they don’t, Boras will take them to the cleaners. Cashman knows the Yankees can fit Harper into their outfield. The question, as always, is money. Are the Yankees willing to spend what it takes? If yes, the “we have too many outfielders” talking point will disappear in a hurry.